Healthy city planning means seeking ways to eliminate the deep and persistent inequities that plague cities. Yet, as Jason Corburn argues in this book, neither city planning nor public health is currently organized to ensure that today’s cities will be equitable and healthy. Having made the case for what he calls ‘adaptive urban health justice’ in the opening chapter, Corburn briefly reviews the key events, actors, ideologies, institutions and policies that shaped and reshaped the urban public health and planning from the nineteenth century to the present day. He uses two frames to organize this historical review: the view of the city as a field site and as a laboratory. 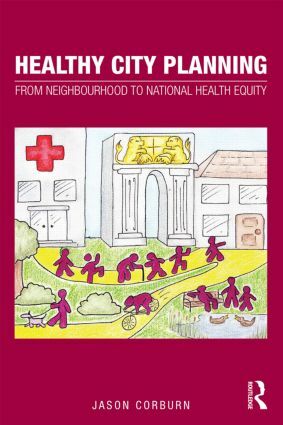 In the second part of the book Corburn uses in-depth case studies of health and planning activities in Rio de Janeiro, Nairobi, and Richmond, California to explore the institutions, policies and practices that constitute healthy city planning. These case studies personify some of the characteristics of his ideal of adaptive urban health justice. Each begins with an historical review of the place, its policies and social movements around urban development and public health, and each is an example of the urban poor participating in, shaping, and being impacted by healthy city planning. Jason Corburn is an Associate Professor at the University of California, Berkeley and is jointly appointed in the Department of City & Regional Planning and the School of Public Health.